"We need them to give something extra so we can be a great team," says national team head coach. With Lionel Messi making his first start since the World Cup, Albiceleste coach Lionel Scaloni hopes the rest of the squad is ready to step up and reach another level. Scaloni confirmed on Thursday that Messi will be in the line-up for Friday's friendly against Venezuela in Madrid, which will be his first match with the national team since the team's 4-3 loss to France in the round of 16 of the World Cup in Russia. "We hope Messi can bring the best out of his teammates," Scaloni said. "We need them to give something extra so we can be a great team. We want them to realise that they are great players and that they need to step up so Argentina can return to the level that it once had in the past. It's not Messi who has to step up." Argentina have a revamped squad, with several younger players who were not in the World Cup team. 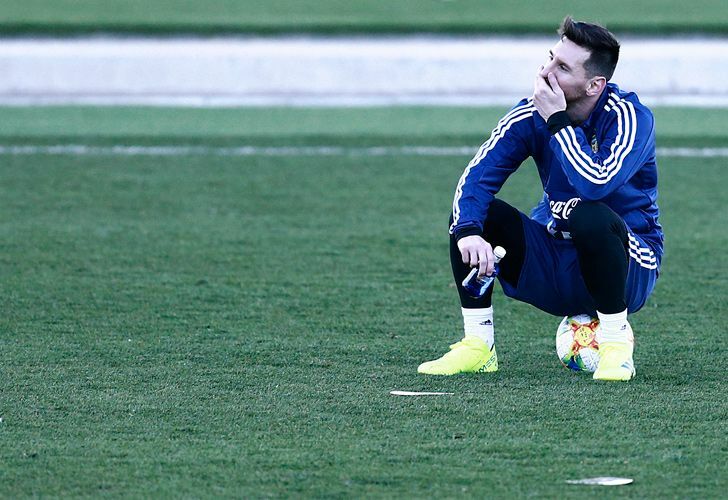 The Albiceleste have played six matches without Messi after the World Cup, winning four, drawing one and losing one. The team's loss was to Brazil, and it followed it up with consecutive victories over Mexico. Venezuela coach Rafael Dudamel said facing Messi would be a great test for his squad ahead of the Copa América in Brazil in June.